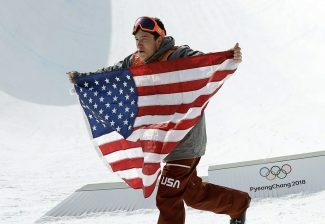 For moguls racers, it’s all about laying down the perfect run, but to set the perfect run, first they have to see it. Which is why Jaelin Kauf spends a lot of her days thinking about her run — imagining how each turn and jump will look and feel. 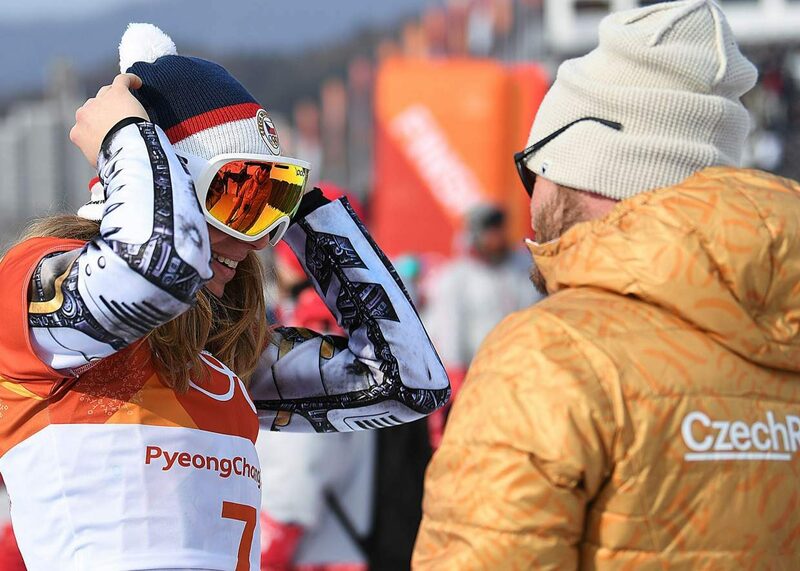 At 21 years old, she is a good pick for a gold medal in the Pyeongchang Olympics and the winner of this year’s World Cup circuit in moguls. She starts at the top, watching herself in slow motion drop into her run, then follows herself down the slope through each turn. “You want to visualize the perfect run, so every time you see yourself and you’re starting to catch an edge or doing something wrong in your visualization, you have to stop, go back to the beginning and start over,” Kauf said. By imagining it, Kauf has been able to find her best run just when she needs it. She met objective Olympic qualifications by jumping from 14th in the qualifying round to the top of the super finals round at a World Cup in China. 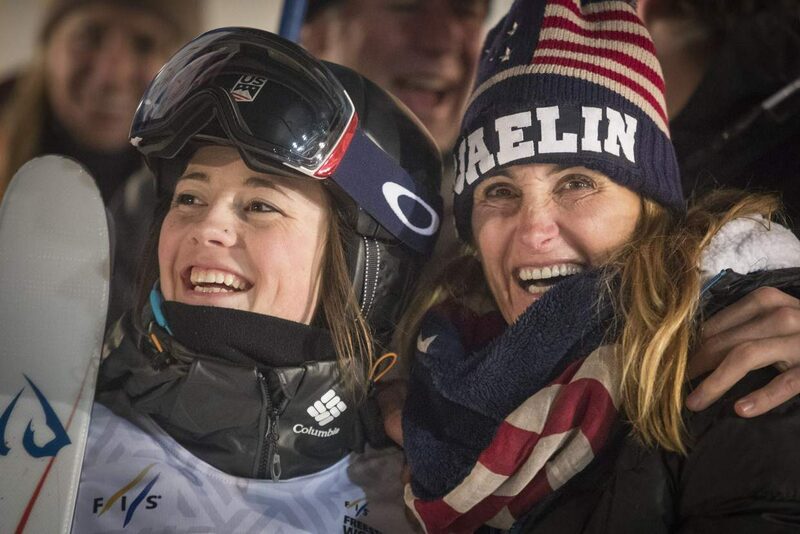 At a World Cup at Deer Valley Resort, she cut it even closer – entering the finals round in last place, and taking second. The next day she took first. 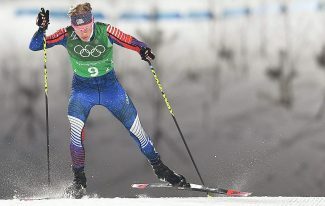 That finish solidified her place on the U.S. Olympic Team and extended her position as the leader in World Cup points. 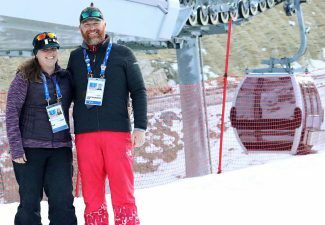 She has kept her position through the World Cup in Tremblant, Canada — the final before the Olympics. 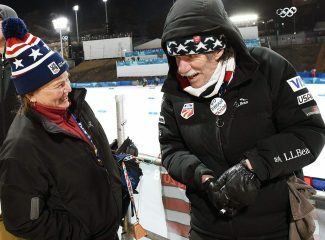 When she gets to South Korea, and if she lays down the run she has imagined, she will stand in the third gate, waving her arms to pump air into her lungs and psych herself up, then will drop into the first set of moguls, cleanly gliding into a high 360 off the first jump. Because her run is extremely fast — perhaps a holdover developed through her expertise as a duals mogul racer — she can launch higher off her ramps, and draw out her jumps, which helps both her speed and jumping scores. “Then she crosses the finish line and looks over the shoulder, because it’s one of the fastest times on the course week in week out,” Gnoza said. All told, her three races will total just under one and a half minutes in Pyeongchang. “(It’s) crazy how much time and effort we put into 30 seconds, but there’s a lot to lose or a lot to gain in those 30 seconds,” she said. When announcers call Kauf’s name for her run at the Winter Games, all the visualization will be over. If she takes gold, it would be the realization of a dream she has envisioned hundreds of times.